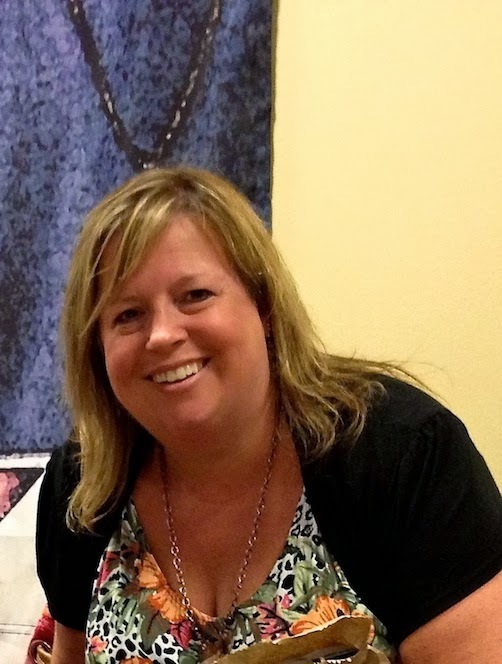 My name is Nancy Curry and I am tickled to be “guest artist” for StencilGirl today. 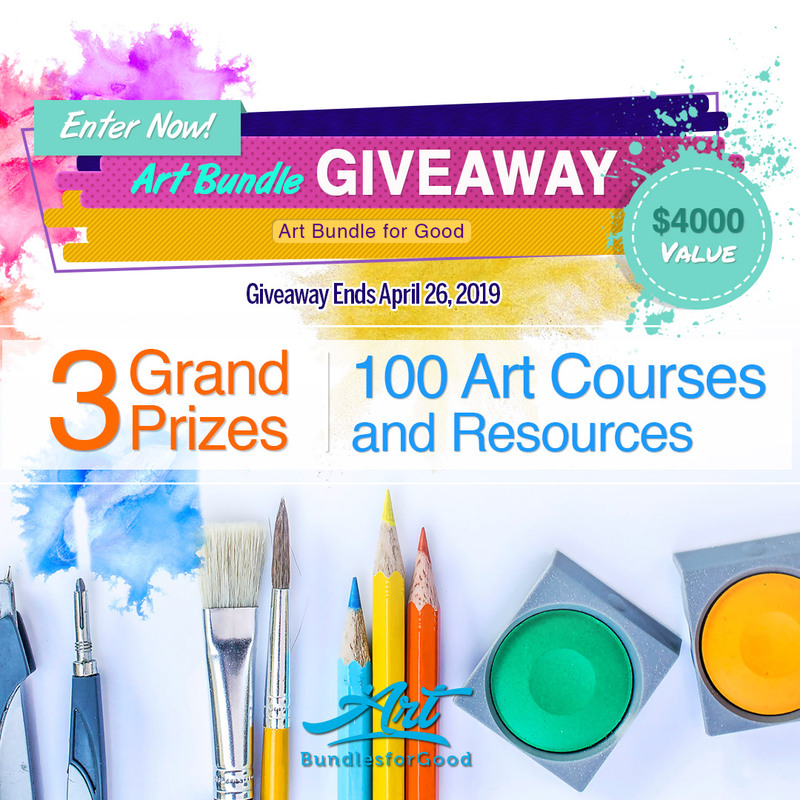 The resurgence of stencils in the art/craft/mixed media world has bled over into my studio so they have become wonderful tools in my paintings, paper art, altered work, AND they are fabulous with my hand lettered stamp line that debuted in spring. 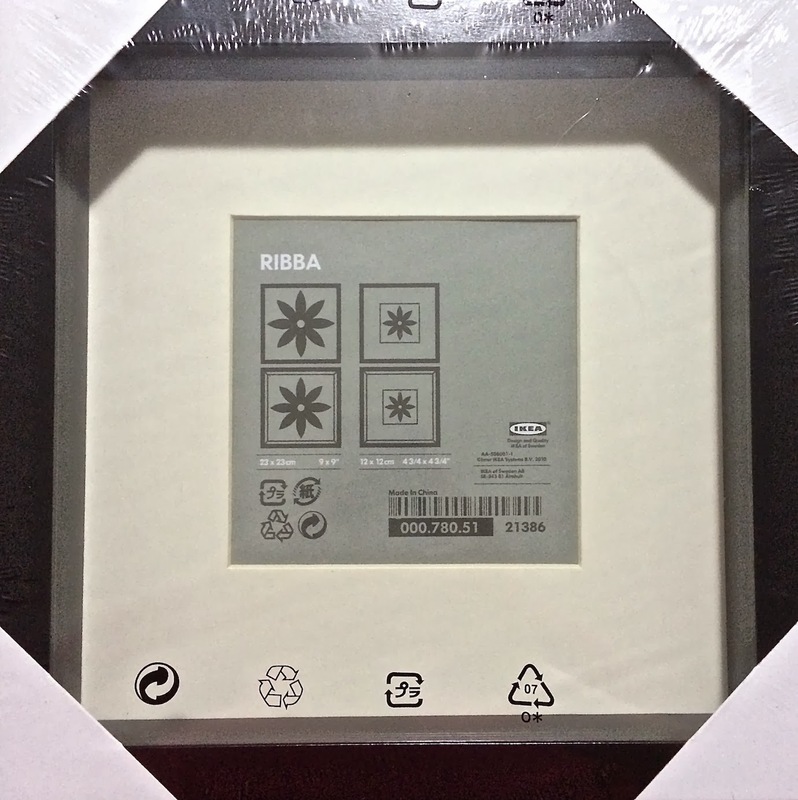 I had a wonderful RIBBA shadowbox 9” x 9” frame from IKEA (quite reasonable) that I’ve been dying to play with so decided to focus on a great home décor gift project that would include a surface I have a rather large stash of in my studio……dominos. 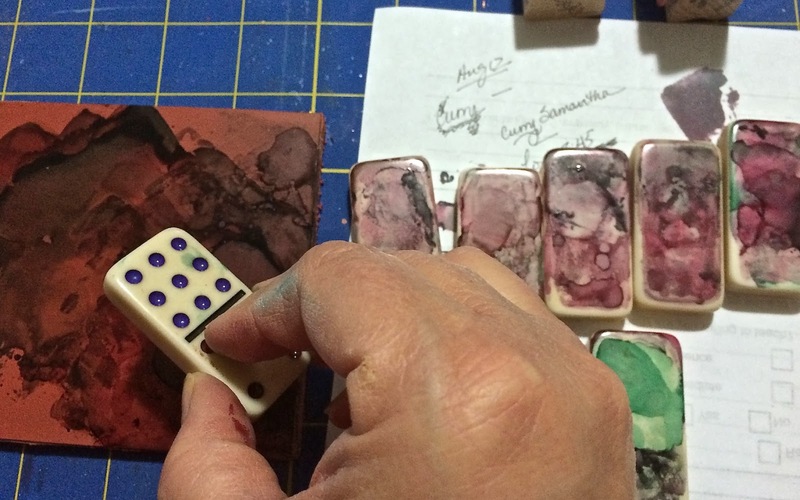 Yes, I was around during in the mixed media/stamping world during the heyday of the domino obsession. And yes, I stockpiled for some kind of apocalypse where I would only have art to work on to survive. 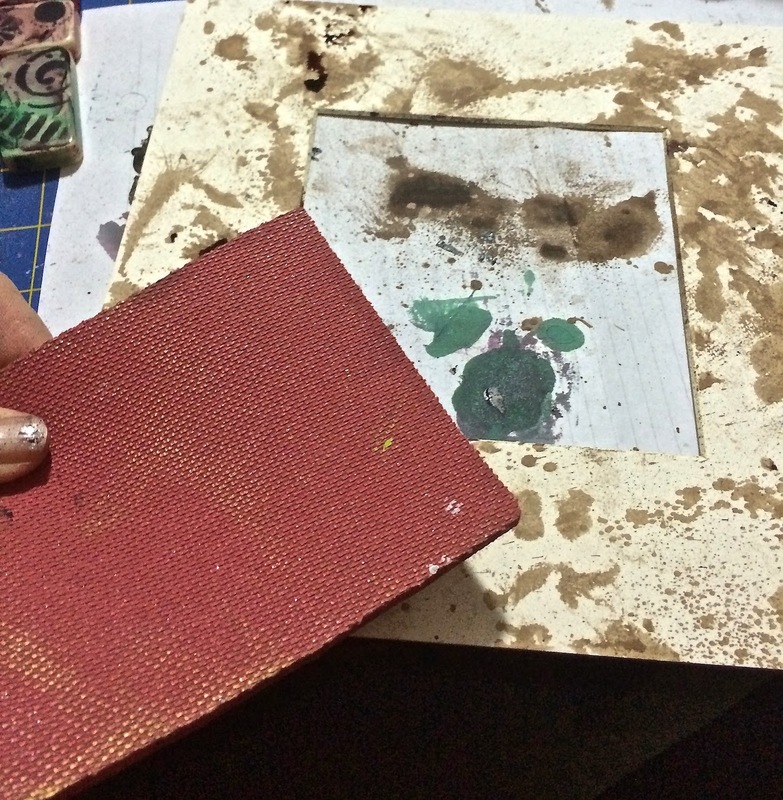 I had white and tea-dyed, but decided on the tea dyed because they would blend better with the matboard frame. For this project, you will need 8 dominos of the same size (I usually have an extra). I used 1” x 2” ones, but you could use any size if you are willing to change the size of your mat or frame. 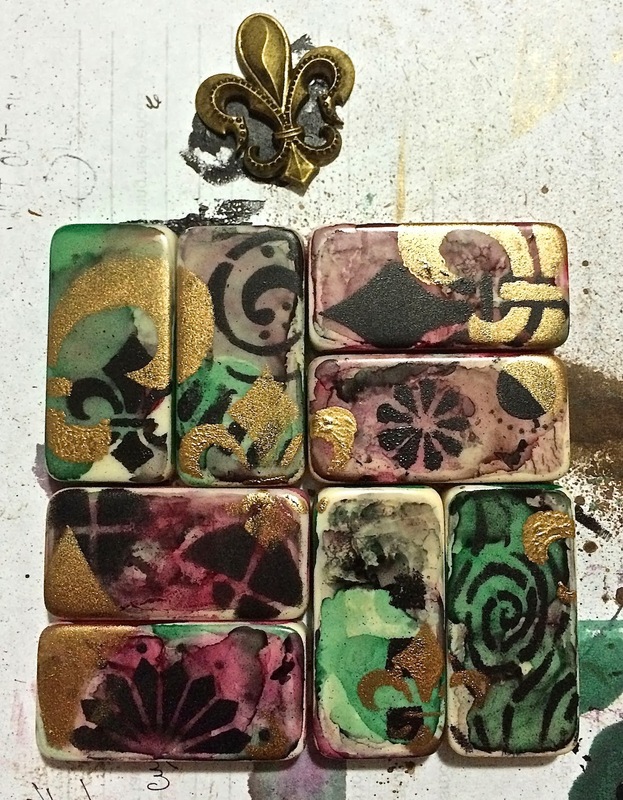 I knew right away that I wanted to layers stencils onto a mingling of my favorite colors. 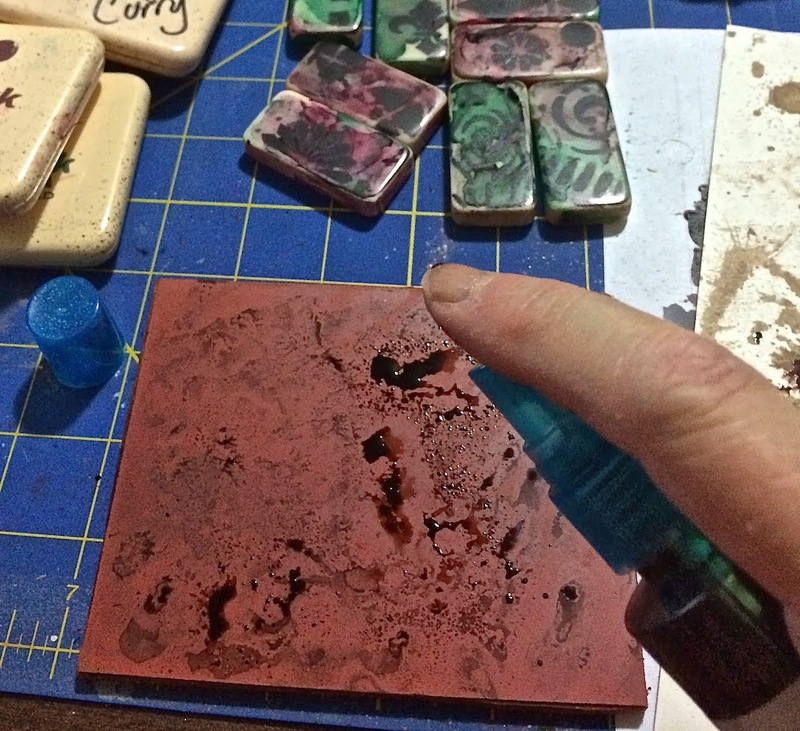 My “go to” for dominos has always been alcohol inks so today I took out blender and three bottles from the Ranger Adirondacks line (Espresso, Bottle, Raisin) and then unearthed from my desktop a new product from RubberMoon called the Red Rubber Palette that is pictured above. The great thing about this palette is its versatility. I love that you can use many different mediums on it that won’t work on others. I drizzled a mixture of the three colors and a bit of blender onto the palette. Then I quickly pounced four of the dominos in this ink combination that was red dominant. I cleaned the palette with some Purell and added inks again, this time making the green the dominant color. Once dry, I redipped the domino sides in the same concentrations. 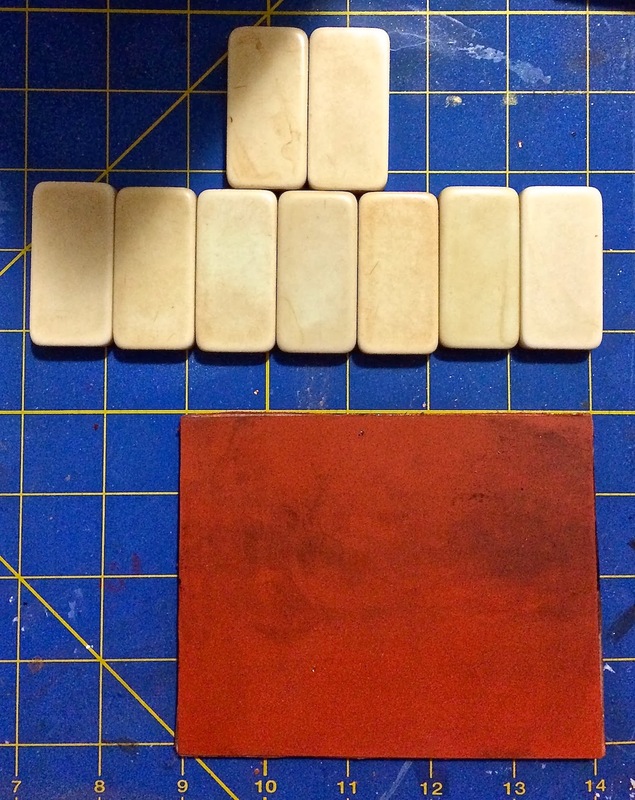 Both applications are more of a spot coloration so the domino was never completely covered with ink on purpose. The alcohol ink dries within a minute so I was quickly able to play with layout and decided I wanted to colorblock the dominos. I used Scor tape to attach them to a piece of matboard cut to 3 ½” x 3 ½”. I then began to stencil parts of images using Mars Black Golden Fluid Acrylics and followed with a layer of images using the Bronze Golden Fluid Acrylic. The bronze layer was all done with the Fleur Set again. 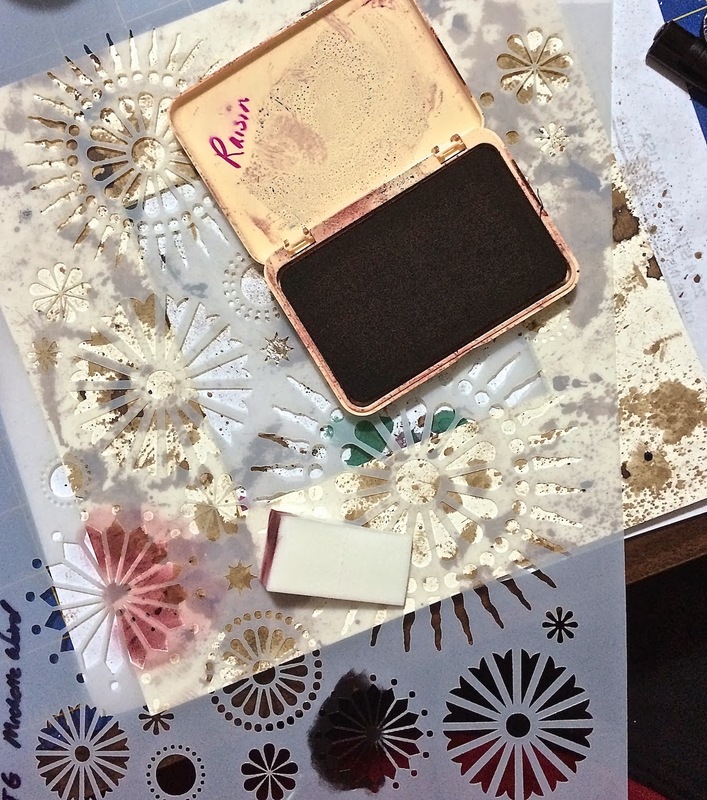 While waiting for all to dry, I located a bronze-toned fleur embellishment that would make a great focal point. To seal in the acrylic paint, I sponged on two light coatings of Future Floor Finish and set aside to dry. Meanwhile, I got out the same Adirondack colors in dye ink pads and a spray bottle of Walnut Ink to begin working on customization of the mat. Again the red rubber palette came into play. I sprayed it with the Walnut Ink and then used it to apply. I really wanted more of the larger “blotches” of color, rather than the dotted effect spraying directly would produce. I then took stencils and created a mat that would compliment the design by repeating some of the images. 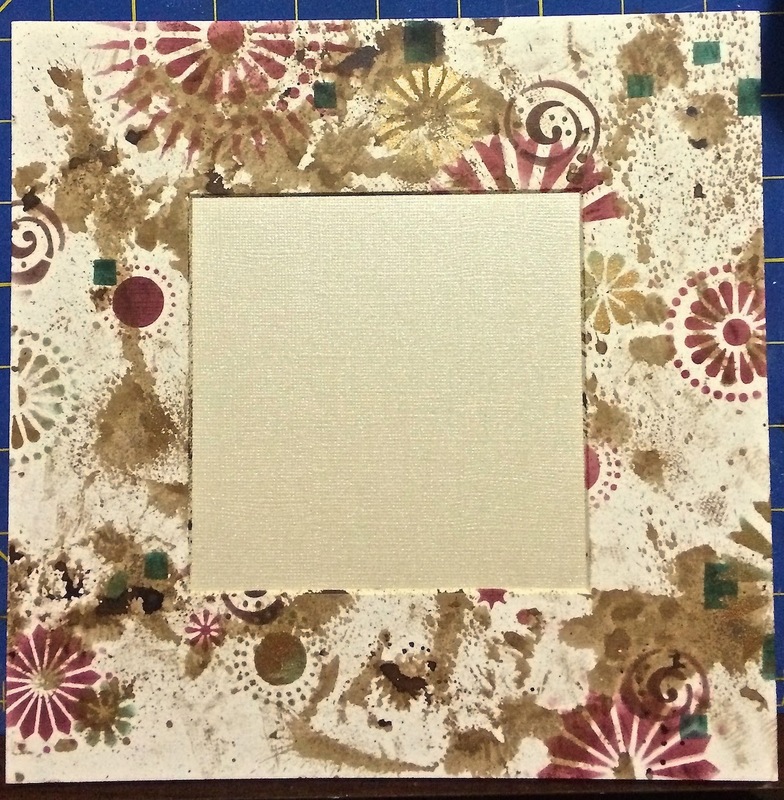 I used the Layered Salad and Circle 9 stencils for this. Originally I thought I would just use dye ink, but later on I decided a little bit of bronze would add a bit of subtle zest. Once finished I added a piece of Bazzill cream cardstock to get ready to mount the dominos. Before adding the dominos, I did play around with the embellishment I wanted to use pictured above and decided it needed something to separate it from the dominos. I centered a 1 ¾” x 1 ¾” square of black glossy cardstock with Scor Tape on top of the dominos, and then mounted the embellishment on a ½” square piece of acrylic I had to raise it up off the cardstock. Because I added black to the center, I decided that the mat needed a few bits of black as well. I used the same stencils to add a couple of interest points. 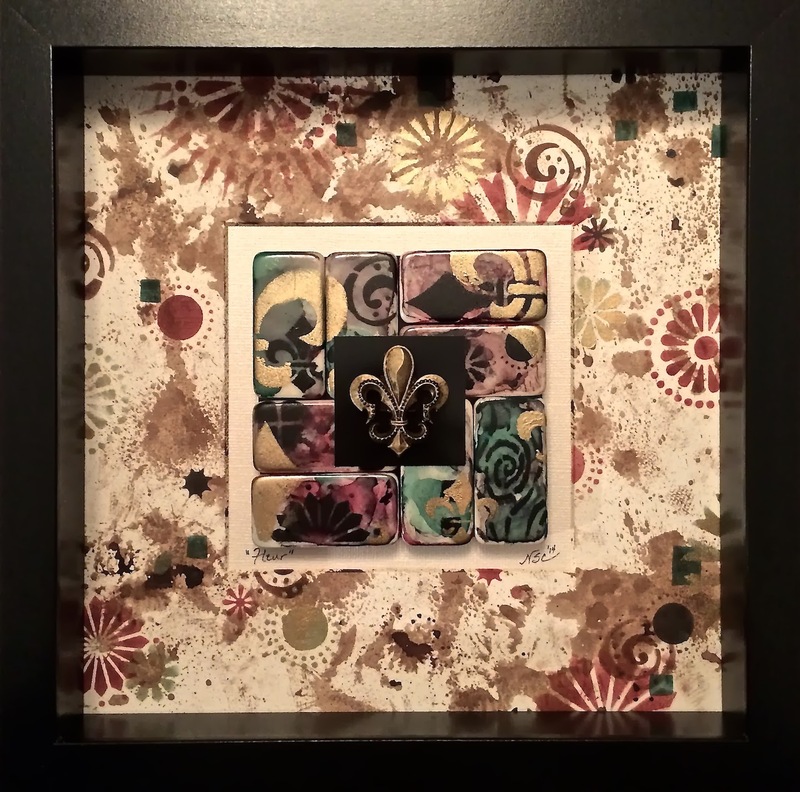 I then centered and mounted the entire domino design with Scor Tape, named and signed the work, and set it in the frame. For pictorial purposes, I didn’t put the glass in the frame yet. My photographic skills don’t do well with glare. I hope you enjoyed my stencil play today. It was really fun to explore stenciling on dominos and even more fun to whittle down my stash of them. I forgot how much fun their smooth surface is to experiment on. For more of my art, visit me at nancycurry.com where you’ll find my blog, Etsy, upcoming classes, and gallery. Facebook junkies, you can follow me at Nancy Curry Art or for the whole shebang! Oh, I missed the domino trend but if I find some I'm gonna do this. Very cool! You make it look so easy...and what a great result. oh is an amazing project, so fantastic! Now THAT is mixed media!!! What a fun way to play with all your goodies and get such gorgeous results. I am inkspired!! <3 thank you for sharing!! Beautiful piece of art! Love it! I really like the effects. Could use this proejct method to make a one of a kind pendant. Love the texture you got on the frame!